A NEW era of leadership got underway in South Ayrshire today (Wednesday 3 February) as Troon Councillor Bill McIntosh (pictured below) was elected Leader of South Ayrshire Council. Formerly Portfolio Holder for Resource and Performance, Councillor McIntosh’s appointment follows the retirement of Councillor Hugh Hunter, who had served as Leader since May 2007. Councillor McIntosh will be succeeded as Portfolio Holder by Councillor Robin Reid (local elected member for Ayr West), while Councillor Hunter – who continues as a local Councillor – will be nominated to become a director on the board of NHS Ayrshire & Arran (a post vacated by Councillor Reid). Councillor McIntosh said: “First of all, I must thank Hugh for his tremendous contribution as Leader of South Ayrshire Council. Under his stewardship, the Council has been completely transformed in terms of decision-making and officer structures, cross-party working and stability. This has all had a knock-on effect and made a real difference for the people we serve. “And that’s vitally important. While there has been a change in leadership, there is no change in our commitment to establishing South Ayrshire as the most dynamic, inclusive and sustainable community and the most improved Council in Scotland. “To help achieve this, my priority in these first few days as Leader is the budget for 2010/11, which will be considered at a special Council meeting on Wednesday 10 February. With limited resources available, we have to ensure we are doing the right things with the monies we have and I will be focusing very much on that over the next few days. Moving beyond that, we have to ensure the Council continues to improve its services and the way we work. Councillor Bill McIntosh (62) was first elected as a Councillor for the Troon ward in May 1999 following a successful career in the banking industry. In 1988, he took early retirement in order to set up his own business – McIntosh Management – which provided business advice for small and medium sized enterprises. 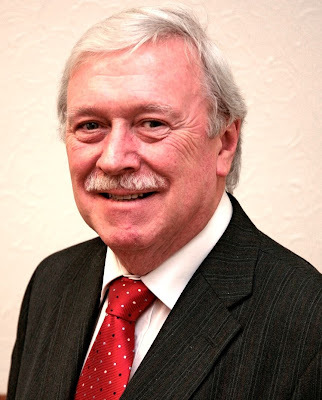 He has been active in his local community for a number of years as a member of the Troon Business Association and, prior to his election to South Ayrshire Council in 1999, as a Troon community councillor. In May 2007, following the local government elections, Councillor McIntosh was appointed South Ayrshire Council’s Portfolio Holder for Resource and Performance – a role he relished. Serving in this role, Councillor McIntosh exercises strategic and political leadership in relation to all the Council’s resources – finance, HR, asset management, ICT, procurement and performance management – and has played a major part in shaping the Council’s improvement agenda and strategic planning processes. He was elected leader of South Ayrshire Council’s Conservative and Unionist Group on Monday 25 January 2010 and Leader of South Ayrshire Council at a special Council meeting on Wednesday 3 February. Councillor McIntosh, a member of the Chartered Institute of Bankers in Scotland (MCIBS), is married to Wilma and has a grown-up son and daughter. There are currently 647 Ayrshire business stories permanently archived on this site. To locate those of most interest to you, please use the site search facility in the top left hand corner of this page. Type your search term in the white box, then click the magnifying glass symbol.